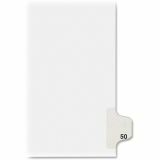 Avery-Style Legal Exhibit Side Tab Divider, Title: 50, Letter, White, 25/Pack - Use these individual legal dividers when you're assembling your case for organized files. 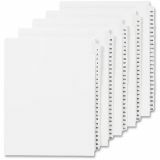 This set contains 25 dividers printed with the same tab. 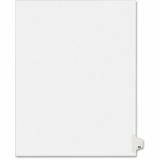 Use these dividers to organize your index briefs, legal exhibits, mortgage documentation files and more. 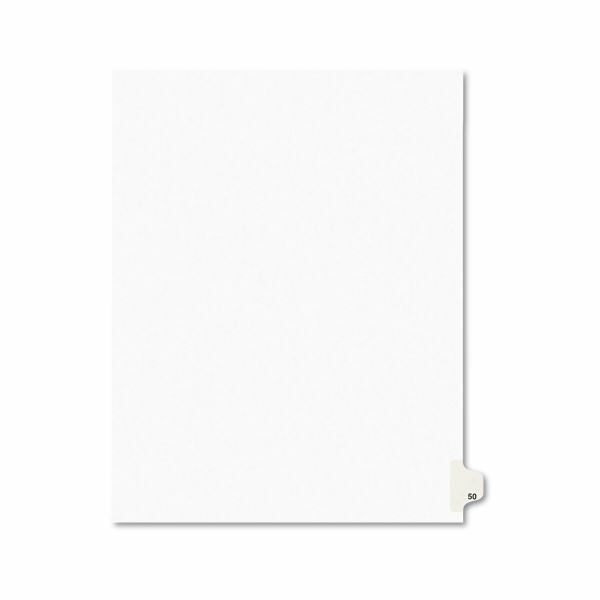 The crisp and clean white paper stock gives your files a professional appearance. The durable, Rip Proof, reinforced side tabs are preprinted on both sides using Helvetica bold type so you can locate your information easily. The unpunched binding edges mean these indexes can fit practically any binding system.